In 1911 he met and married Jeanne Allemand in Hellerau, Germany, where she was studying dance at the Eurhythmics Institute of Emile-Jaques Dalcroze. At the time Hellerau was in the vanguard of artistic and educational development in Europe. In 1913, de Salzmann produced the German debut of Paul Claudel's play The Annunciation at Hellerau. That fall, the de Salzmanns, along with the de Hartmanns and Dr. Stjoernval, helped Gurdjieff establish his Institute in Tiflis and rehearsals began for Gurdjieff's ballet scenario The Struggle of the Magicians. 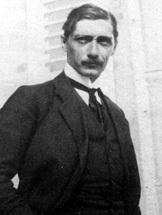 In July 1920 Gurdjieff's group, with the de Salzmanns, moved to Constantinople. In August 1921 Gurdjieff and his students went to Germany. Finally, in October 1922, they went to Avon, France, where Gurdjieff established his Institute for the Harmonious Development of Man at the Prieuré. Later, de Salzmann, who at the time was making a living as an antique dealer and interior decorator, met the avant-garde writer René Daumal and introduced him to Gurdjieff's teaching of The Fourth Way. The character of Pierre Sogol in Daumal's Mount Analogue is modeled on de Salzmann. In 1933, quite ill at the time, de Salzmann met Gurdjieff at the Café Henri IV in Fontainebleau; what was said is not known. Gurdjieff's conviction was that de Salzmann, "in the sense of objective art, was 'the greatest of living painters. '"13 After Alexander de Salzmann's death, Jeanne de Salzmann led her husband's groups until 1939 when she introduced the students to Gurdjieff. 1. James Moore, Gurdjieff: The Anatomy of a Myth (Shaftesbury, Dorset: Element Books, 1991), 127. 2. Basarab Nicolescu, "The Strait Gate," The Gurdjieff International Review. 3. Ruth Sachs, White Rose History, ed. D. E. Heap and Joyce Light (Lehi, UT: Exclamation! Publishers, 2002), 59. 4. William Patrick Patterson, Struggle of the Magicians (Fairfax, CA: Arete Communications, 1996), 59. In Mme de Hartmann's unpublished memoir "What For?" she says the word used to describe Mme de Salzmann was "clever."